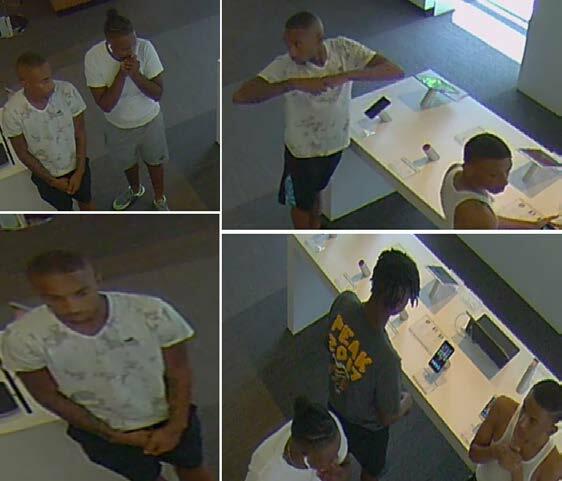 On August 26, 2018, at about 12:00 pm, the below pictured suspects entered the AT&T Store located at 28033 IH 45, Spring, Texas and stole several IPhones from a display by cutting the security cables. At about 12:30 pm, the suspects entered the T-Mobile Store located at 525 Sawdust Road, Spring, Texas, where they again stole several iPhones by cutting the security cables on the display phones. The suspects were seen leaving in a grey Mitsubishi passenger car.